The art of Capoeira has been a significant part of Lacraia's life since 1995. It means more to him than the average person. He has been training on and off, and playing for a good majority of the time since, in various locations including Texas, New York, Boston, Mexico, Florida, Jamaica, California, Brasil, and various parts of Europe. He began teaching and training in Houston, TX in 1995 without a master (as there were no masters available in the area at the time) and prior to even having joined a group, as the draw and mystery of the art was this strong (This is normally never done). With only video tapes (no internet), books to study, and the companionship of a fellow Capoeirista, who was just as into the art as he was, Lacraia helped build a group in Houston of over 40 consistent students. In 1999 He moved to New York City (for school), where he found the need for proper instruction to be more desired than ever. Having met a, then, master of Grupo Capoeira Brasil (Mestre Jelon-Grupo Luanda) years prior in 1996, he sought out this style of play and group professionalism. 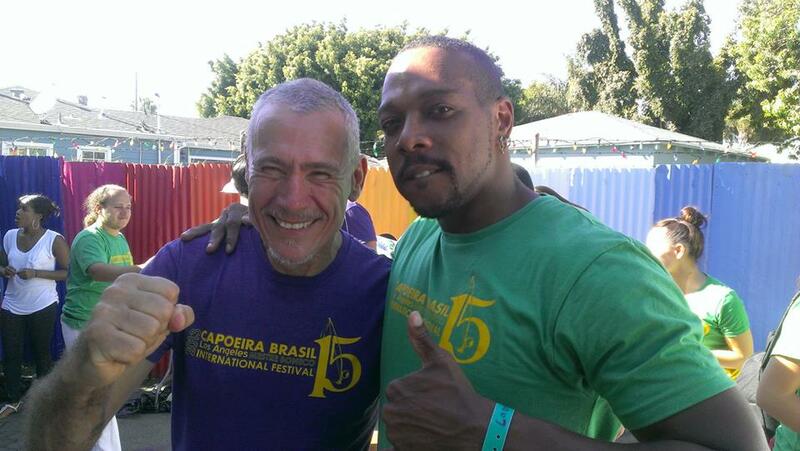 He joined Grupo Capoeira Brasil the following year (2000) with his, then, first actual teacher, Professor Caxias (now-Mestre Caxias). After 4 intense years of training in New York, Lacraia moved to Los Angeles, CA in 2004, where he would take a 4 year break from Capoeira in order to further his career outside of martial arts. In 2008 he would find, again, that the pull was too strong and began training with a master of masters, Mestre Boneco (Grupo Capoeira Brasil Los Angeles), where he currently resides as a graduado and teaches within the group. He feels that it is quite telling of the group's influence and strength to know that there are Grupo Capoeira Brasil Academies in most major cities of the world and far beyond. As with anything, Lacraia's reasons for continued training have evolved over time, but his love for the art remains steadfast.